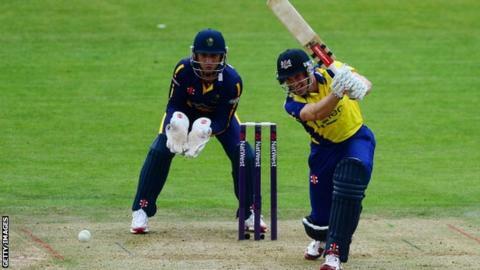 Gloucestershire captain Michael Klinger has been ruled out for the rest of the season with a broken arm. The Australian opening batsman suffered the injury in yesterday's 53-run One-Day Cup defeat by Derbyshire. Klinger was on two before his left arm was struck by a bouncer bowled by Derbyshire's Mark Footitt. The 34-year-old is Gloucestershire's leading run-scorer in the One-Day Cup this season, scoring 228 runs at an average of 57. He will now miss Gloucestershire's two remaining County Championship Division Two fixtures as well as their One-Day Cup quarter-final against Kent.